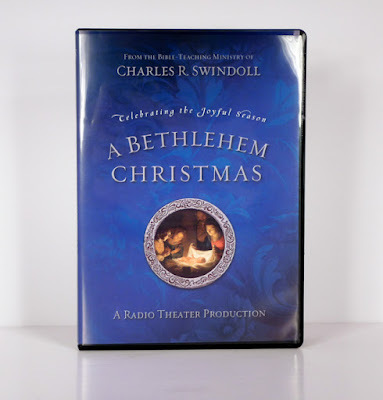 It's Christmas time again so we spend this episode reviewing "A Bethlehem Christmas" from Insight For Living, we talk about some of our favorite Christmas audio drama and even recommend a few new ones. Roy shares a newscast and we also have a special Christmas visit from a very special guest! Merry Christmas! And God bless us, every one! Heirloom Audio Productions recently won 4 Voice Arts Awards at the Voice Arts Awards ceremony in Hollywood in November 2015, including one for “Outstanding Audio Engineering”. GreenStreams Studio has released episode 2 of their series, Shadows And Daylight. Aaron Fullan (of Heirloom Audio Productions) and Jared DePasquale were brought on board to score several episodes of The Brinkman Adventures Season 4. Purchase your copy from Insight For Living's online store. It is available in both CD and MP3 formats. Aria Curzon, the voice of Mandy Straussberg on Adventures in Odyssey makes a special appearance.